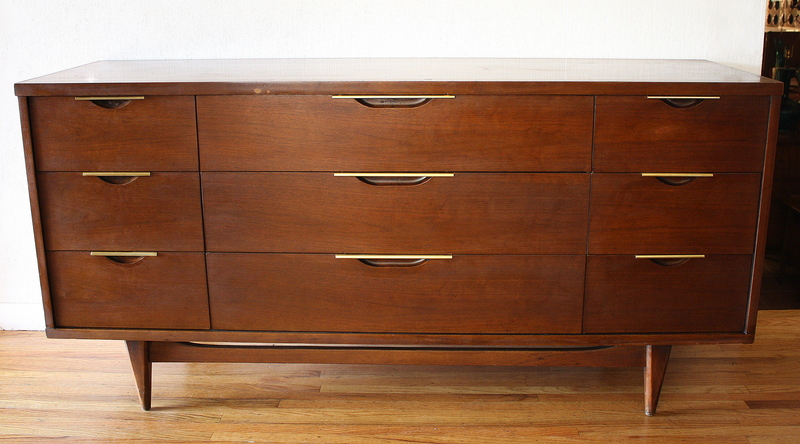 This is a mid century modern low dresser credenza from the Kent Coffey Tableau collection. It has brass handles, 9 dovetailed drawers and tapered legs. Dimensions: 64″W x 19″D x 31.5″H.